The list of courses offered by Federal Polytechnic, Bida are displayed on this page. Candidates who wish to apply through JAMB should click on any of the courses to see the course requirements. 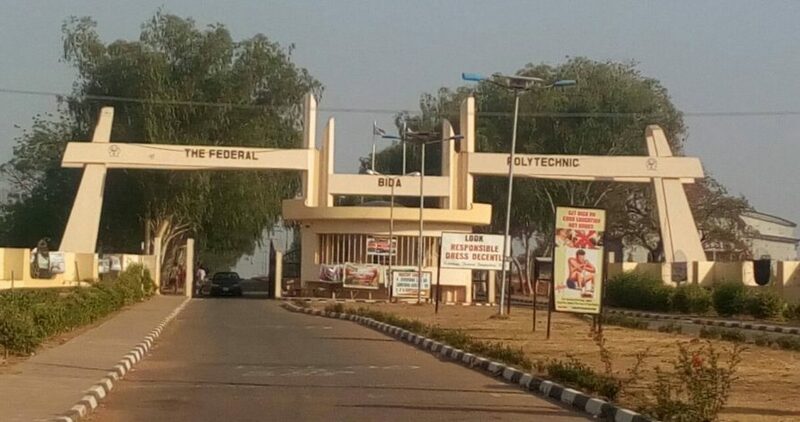 The Federal Polytechnic Bida began in 1977 following the decision of the Federal Government of Nigeria to move to Bida the then Federal College of Technology, Kano. In the same year the first Principal Professor J. W. Brooks, a Canadian, was appointed on the 5thof September 1977. The Bida College of Technology as it was called then embarked on the task of recruiting pioneer staff. The first academic session started April 1978 with 211 students and a staff strength of 11 senior staff and 33 junior staff. With the promulgation of Federal Polytechnic Decree number 33 of 1979, the Bida College of Technology automatically became The Federal Polytechnic Bida. The permanent site of The Federal Polytechnic lies along Bida Doko Road and covers a land area of about 400 hectares that is approximately 2km by 2km. Physical development of the site started in early 1979 and by October that same year, the administrative staff and some departments had moved to the permanent site. The development continued in phases and the polytechnic is housed comfortably in its permanent site today.